As a manager, few things are more discouraging than receiving a resignation from out of the blue. Realizing that a good employee is unhappy at work can come as a shock to managers, particularly when it seemed like everything was going well. Decreasing employee engagement, especially in previously motivated employees, is a serious problem for organizations, and disengaging attitudes can do a lot more than just cost companies a valuable employee. Negative work perceptions can become contagious and could lead to serious problems in the long run. Recognizing decreasing engagement in its early stages allows companies to address issues, correct problems, and clarify misconceptions right away, helping them retain strong employees and even increase dedication. 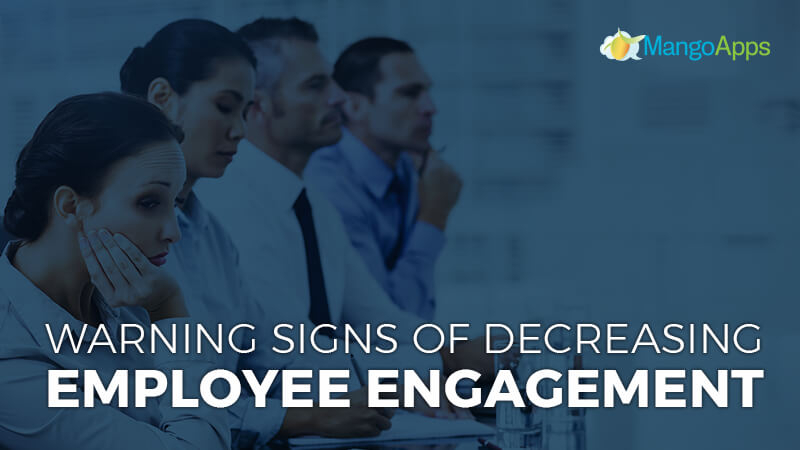 To help managers and supervisors with this effort we wanted to go over 7 warning signs of decreasing employee engagement. While it might seem obvious, declining work quality is one of the first signs of decreasing engagement. When employees no longer feel connected to their company they often struggle to put forth their best effort. If an employee starts to exhibit lower levels of work quality, it is important to handle the situation appropriately. Rather than punishing or issuing a warning, try to have a discussion and figure out the real cause of the problem. Working with an employee to overcome problems is usually much more effective than angry lectures or punishments. Evaluate their past performance and try and find where work quality began to decline. Communicate honestly about your concerns and work together to find personalized solutions. When an outgoing influencer suddenly stops speaking up, it is almost always a sign of decreasing employee engagement. Outspoken employees tend to be passionate and persuasive, and can cause negative feelings throughout the organization. It is essential for someone from management or HR to understand what policy change or action triggered this change of behavior. While employees will, of course, not always agree with company decisions, disengagement often comes from misconceptions. Try to talk with your employee and create perspective for why certain decisions were made. After addressing concerns and clearing up misconceptions, he or she may even become a spokesperson for the policy change or action, helping other employees stay engaged and onboard. MangoApps not only makes it easy for coworkers to communicate and collaborate together, but it also shows admins important metrics and data about how employees are interacting with each other. This data helps employers see when a disinterest in communication and collaboration occurs. Reluctance to work with their peers is another important warning sign of decreasing employee engagement. This reluctance can be from a single employee, a team, a branch or even across the entire organization. Understanding employee participation and collaboration efforts help employers understand important sentiments within the organization, especially when there is a sudden or unexpected drop in engagement levels. Prolonged phases of reduced social engagement should never be left unattended and companies should do their best to asses concerns as soon as possible. Sometimes, you may not recognize an employee’s disengagement by looking at their performance. Disengaged employees might work brilliantly, execute goals, and receive outstanding evaluations, but work performance should never be considered the only indicator of engagement levels. While avoiding company games or organized social events doesn’t always mean decreasing employee engagement, it can be a sign of unhappiness or disinterest in the company culture. This is particularly true if the employee was previously active and involved in office activities. Even though their work performance may not be suffering, disinterest in company culture is still important and could play a major role in your employee’s happiness and work satisfaction. If an employee suddenly seems angry or lashes out at others over the smallest issue, it is a serious sign of disengagement. When employees mentally disconnect from a company it becomes more difficult to see coworkers and managers as part of their team. As a result, employees become much less patient and understanding of others in the workplace. Small annoyances may start to feel like compounding problems, especially if the real reasons for disengagement have not been discussed. HR personnel or their respective managers need to step in and diffuse the situation by addressing the problem. However, increased irritation may also be due to problems that are not work-related. HR members should do their best to observe and consult with the employee to understand and address any underlying work-related issues. MangoApps can help employees manage employee engagement by making it easier to track employee performance. This could involve attendance logs, completion timelines, to-do lists, key performance indicators, and much more. 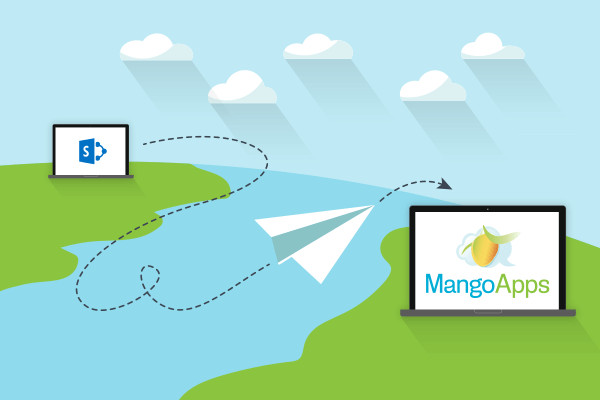 MangoApps admins can also analyze employee activity and information, making insights easy and intuitive. Insights about employee performance can alert admins to changes in employee performance right away, helping them address concerns as they occur. When approaching an employee about his or her performance, be sure not to micromanage. Approach the situation with the goal to work together with employees to identify problems and find solutions. Engaged employees are excited about work and the role they play in an organization. They take on new challenges with enthusiasm and see them as opportunities to be creative and showcase their abilities. When employees experience decreasing engagement, challenges become burdens rather than motivations. This is particularly true when employees have always been quick to act and take on new tasks in the past. When an employee does not show his or her characteristic enthusiasm is a clear indication that something is going on. Talk to employees about their work satisfaction or ask them about which project they would be interested in based on their talents and skills. Decreasing employee engagement doesn’t have to take you by surprise. With a little extra attention and some helpful tracking tools, employers can understand and discuss engagement concerns right away. At MangoApps, we believe in building happy cultures, productive companies, and unmatched success. To learn more about how MangoApps can increase employee engagement, happiness and productivity, contact us or schedule a demo with us today.